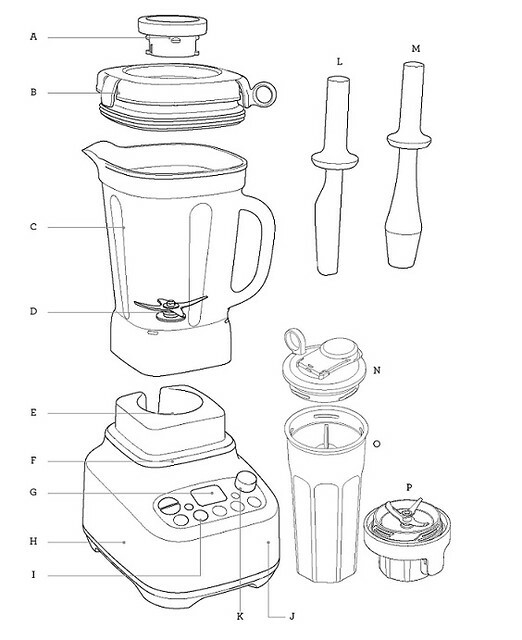 The BBL920BSS, the Super Q™, is designed to be a commercial grade blender intended for use in the home kitchen. With noise reduction technology, 12 individual speed settings, pitcher/vessel recognition technology and compatibility with the Vac Q™ accessory, the Super Q™ delivers amazing mixtures with superior textures and improved versatility. The controls of the Super Q™ are very different and it helps to have some understanding of them before the first use. 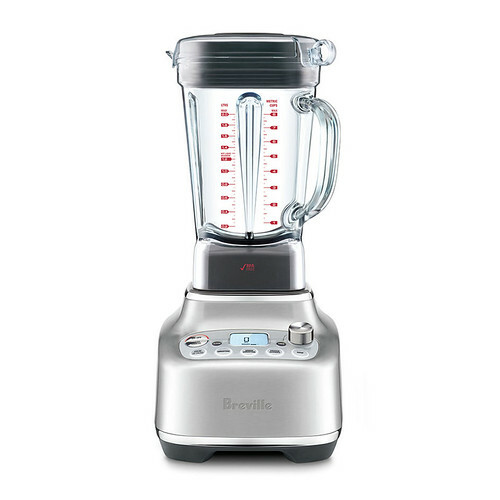 S. SMOOTHIE - for dairy base smoothies with a pulsing action and combination of speeds made to create creamy textured smoothies. T. GREEN SMOOTHIE - For the blending or fruits and vegetables using high speeds to create a smooth textured drink. U. High speed program designed specifically to break down frozen fruits/vegetables without additional heat to make smooth scoopable desserts. V. SOUP - For use in making smooth creamy hot or cold soups. Primarily a high speed program that ends with a slow stir to remove steam bubbles. W. SPEED SELECTION Dial - used to select a continuous function based on a speed setting from STIR to MILL. 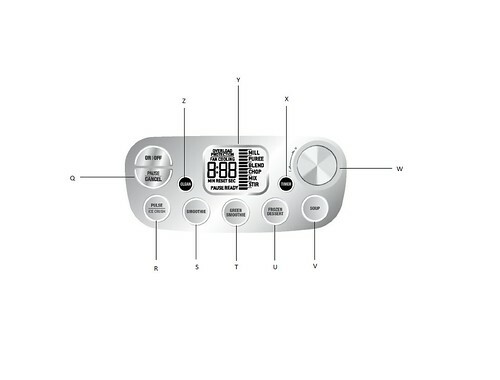 X. TIMER button - used for timing the manual speeds to ensure that there is no over-processing of ingredients. Y. LCD Display - This will show any time selection, speed selection, pre-programmed selection and even the OVERLOAD PROTECTION warning Z. CLEAN - the pre-set cleaning function that allows for simply quick cleaning after every use with just one touch.